parent to child through DNA, a new study published in Nature finds that traits can also be passed to the child via the DNA of bacteria in the mothers' body. 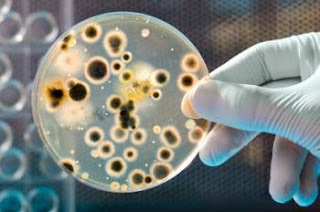 "But our results show bacteria stepping over the line," Dr.
"Commensal bacteria" are organisms that live within our bodies but do not cause disease. However, these bacteria are known to influence weight, behavior and other traits. Scientists had previously believed the genetic traits associated with commensal bacteria to be acquired during a person's lifetime rather than inherited. influences traits including immunity and inflammation. In the new study, the researchers found that mice with certain bacteria inherited from their parents were more susceptible to a gut injury caused by chemical exposure. Mice carrying other inherited bacteria, however, were less susceptible to this condition. as expanding knowledge on how DNA is transmitted - also have important practical implications for science. Across several fields of research, scientists have reported an occasional glitch when conducting experiments using genetically engineered mice, where new or altered genetic traits can suddenly appear in the mice in a way that cannot be easily explained. how those bacteria-influenced traits are passed from mothers to offspring. altered or new traits in genetically modified mice could be to house experimental and control mice in the same colony, which would ensure that inherited microbes are present in both groups.